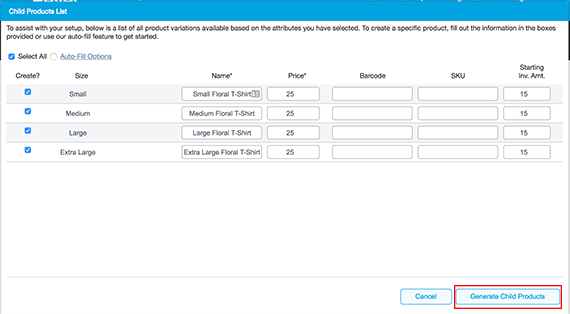 Matrix Inventory allows you to add and manage product lists that consist of multiple similar items, like t-shirts, that are available in a variety of attributes, such as size or color. Each combination of attributes is a unique product with its own price or recipe, all available for sale on the iPad POS. These instructions will show you how to create your Matrix Inventory from the Management Console. See our article Creating a Matrix Inventory with Your POS for instructions to create the inventory using your iPad POS. NOTE: Matrix Inventory is disabled by default. Contact support to enable this feature. There are two different ways to create a Matrix Inventory within the Management Console. You can use the + Add button from the Products home page, or use the Product Attributes link in the menu on the same page. Click the link below for the method you'd like to use. If you are looking to bulk import a Matrix Inventory, see our article Importing a Matrix Inventory. This method is by far the easiest way to create a matrix product. Let's take a look at how easy it is! First, log into your Management Console (yourdomain.revelup.com). 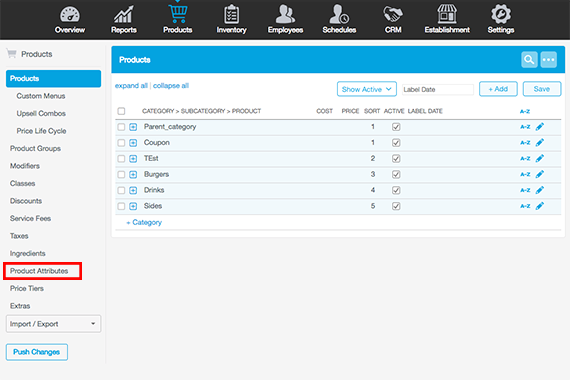 From the home page of the Management Console, click on the Products link in the menu at the top of the page. There are other fields, like Barcode, SKU, and Unit of Measure. These are not required to create a product, but you can enter as much information as you'd like. Note: The name of your child product will show in the section, but must be typed or auto-filled in. Your products will now show up in your product list; just locate the parent product you created and click the plus sign next to it! 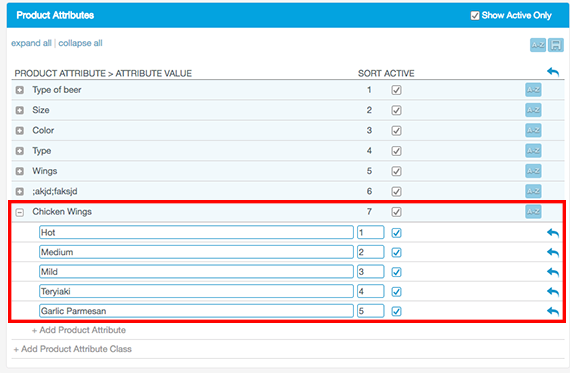 The second way to create a Matrix Inventory is to use the Product Attributes section of your Management Console. This takes a few additional steps, but the process is similar to the one outlined above. 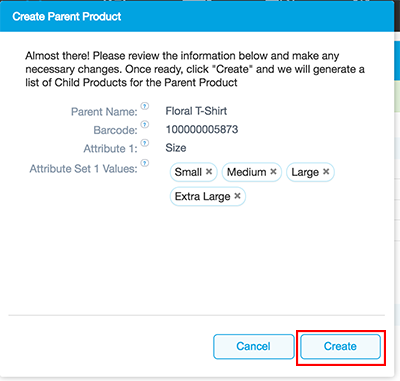 First, you will need to create the Parent products for your Matrix Inventory. Once you’ve completed creating your Parent products, click the icon. 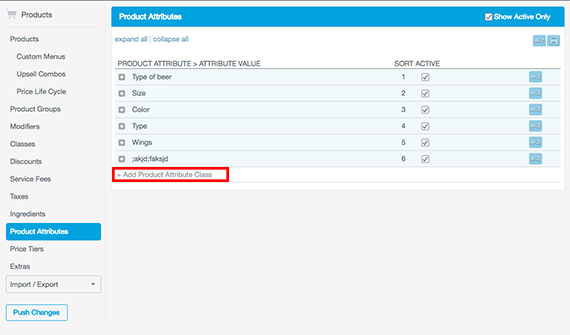 Product attributes are descriptors for a product, like size or color. 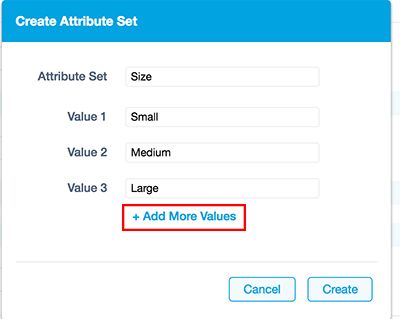 Each attribute contains values like small, medium, and large, or red, white, and blue. From here, the process is the same as the instructions above. Want to use your iPad POS to create your Matrix Inventory? 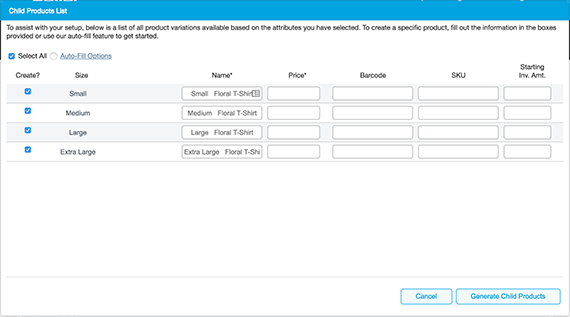 See our article, Creating a Matrix Inventory with Your POS, for instructions.